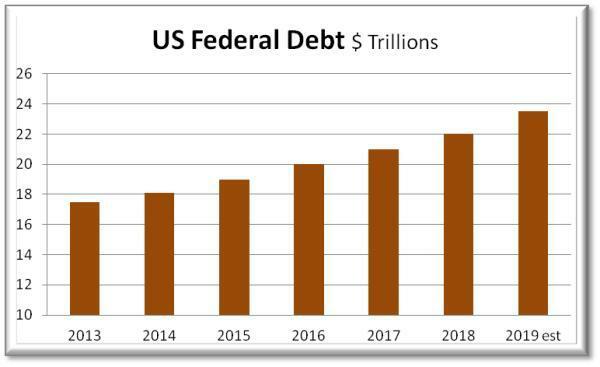 But the US debt binge is downright orderly compared to much of the rest of the world. (Bloomberg) – Emmanuel Macron is rolling the dice with France’s public finances to keep his grand plans for the economy alive after weeks of protests on the streets. Macron’s government will set out a raft of measures to try to calm the so-called Yellow Vest protests on Thursday and they will almost certainly see France breach the European Union’s budget deficit ceiling next year. The 40-year-old president is arguing the concessions are necessary to maintain public support for his efforts to make the economy more efficient. Macron’s announcement Monday that he’ll raise the minimum wage, abolish taxes on overtime, and get rid of a controversial tax on pensions will send next year’s budget deficit to about 3.5 percent of output, up from a previous target of 2.9 percent, according to media reports. That’s well beyond the 3 percent limit imposed on members of the euro zone. (Bloomberg) – China’s top policy makers confirmed that more monetary and fiscal support will be rolled out in 2019, as the world’s second-largest economy grapples with a slowdown that’s yet to show signs of ending. Facing the most difficult economic environment in years amid the trade standoff with the U.S., the conference outcome suggests Beijing sees increasing urgency in tackling stalling growth. 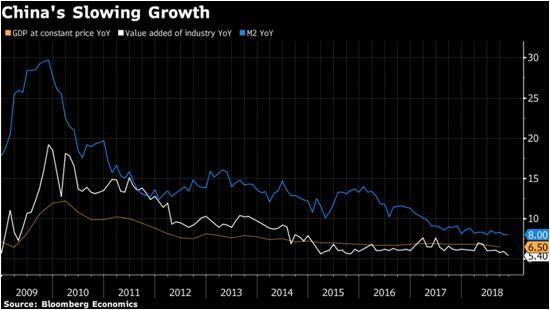 “The focus for macro policy has shifted from lowering long-term risks to boosting short-term demand,” said Larry Hu, head of China economics at Macquarie Securities Ltd. The stimulus pledge did little to convince investors, who have seen nearly $3 trillion wiped off the value of China’s stock market since the end of January. The Australian dollar, a proxy for betting on China due to the country’s trade exposure to the Asian economy, fell against the dollar along with most major currencies. The economy slowed again in November as retail sales and industrial production weakened. Economists see growth of the world’s second-largest economy slowing to 6.2 percent next year from 6.6 percent in 2018, as uncertainty over the trade war couples with a decline in consumer confidence to dim the outlook. Corporations are the ultimate dumb money. 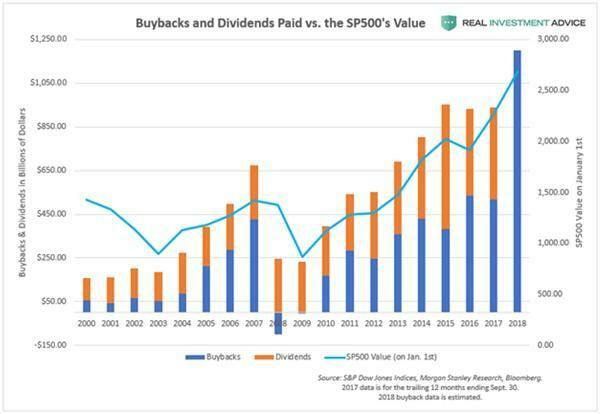 Note on the following chart how in the previous cycle their buying back of their own shares peaked just as stock prices hit record highs in 2007. Stocks then plunged and corporations – dumb to the end – became net sellers at the bottom. The first part of this pattern repeated in 2018, as corporations took advantage of tax law changes to repatriate hundreds of billions of dollars and apparently used the whole load to buy back their shares – just before pretty much everything fell off a cliff starting in October. Now CEOs across the corporate spectrum are heading into their annual shareholder meetings having squandered big parts of their investors’ capital on overpriced stock. Tense times for sure, and not likely to whet the appetite for more buybacks. If the rest of the pattern holds, expect corporations to stop buying and maybe even start selling by year-end. This is the easiest prediction in the history of predicting. The US just handed the House of Representatives to Democrats who have been itching to destroy the president for two interminable years. Given a chance to make those dreams a reality, the Dems will throw everything in the political dirty tricks handbook at the executive branch. The result: something much worse than gridlock. Let’s call it “chaos” until the media coins catchier term. Across the pond, Brexit is looking decidedly “hard,” meaning the UK just leaves the EU and lets the lawyers sort out who owes what to whom and who gets to go where when. The French government’s promise of deficits that blow through the EU’s limits, meanwhile, presents Continental bureaucrats with a dilemma: Let France get away with it, which also means letting Italy and every other dysfunctional European country do whatever they want. Or stop France and open a possibly irreparable rift between the EU’s major powers. And this is all happening with German Chancellor Angela Merkel a lame duck and no clear replacement in sight — and with the far right ascendant. As for Latin America, just Google Brazil, Argentina or Venezuela and see what their 2019 looks like. Take soaring government debt, combine it with less corporate support for stocks and political turmoil wherever you look, and the impact on equity and bond prices is unclear. Rising government spending will boost stocks while falling corporate share buybacks will depress them. Political turmoil will spook the markets but also engender hope that panicked central banks will respond with bigger and better QE programs, which other things being equal would be good for bonds and maybe stocks. Financial assets, as a result, might do pretty much anything; there’s no way to know. Precious metals, however, will love a world of falling governments and soaring debt. So…one bonus prediction: Gold tests the $1,360 resistance that has repelled it four times in the past five years, and this time breaks through.